Full Service Restaurant w/Beer & Wine near U of W! This full service restaurant is located just two blocks from the busy University of Washington. The well designed dining area seats 50 comfortably with quality tables and chairs. There are five designated parking spaces for customers which is rare in the U-District! The restaurant is less than a year old and includes quality kitchen equipment including a stand alone upright freezer, upright cooler, deli case, commercial hood, grill, and more. The furniture, fixtures, and equipment are included in the asking price. The restaurant has been averaging 15,000 a month in sales just 20 hours a week during lunch. 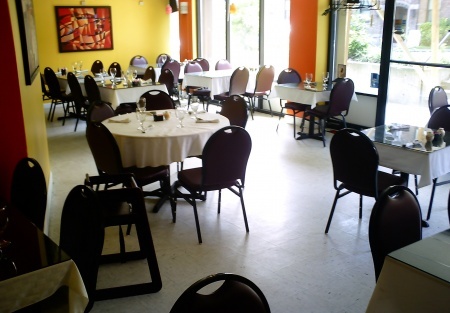 This is a great restaurant space in an excellent location with a low lease that doesn't increase until April of 2010! Hurry because this won't last. This is an Added Value Alliance, Inc. ListingThis is a Larry Braden listing. 2 Blocks from the University of Washington! Fully Equiped Kitchen Great for any Restaurant Concept Including Burgers! Rare for the Area 5 Designated Parking Spaces! Deli Counter and Deli Case for Sandwiches, Desserts, etc.